Some of Australia’s best coloured sheep have been bred by Bennett and Gregor. 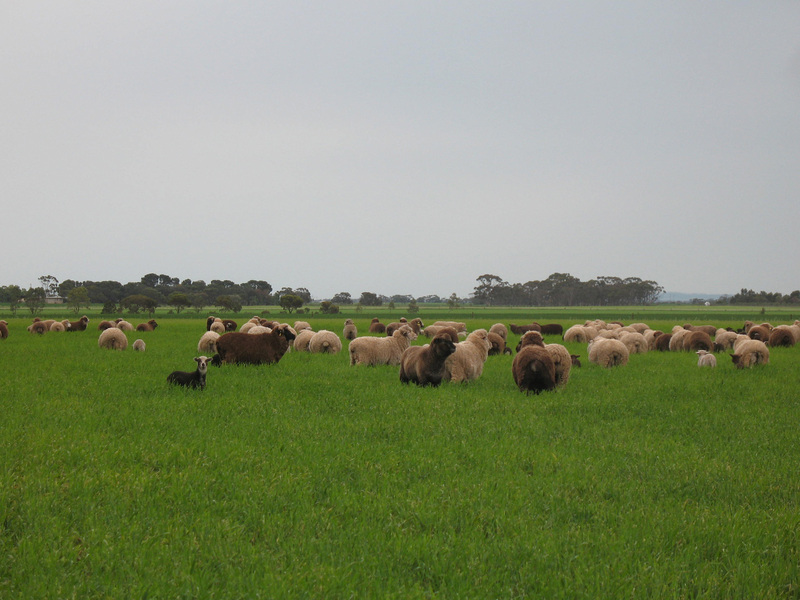 They are renowned for their large frames, excellent conformation, and heavy cutting, soft handling, uniform fleeces. 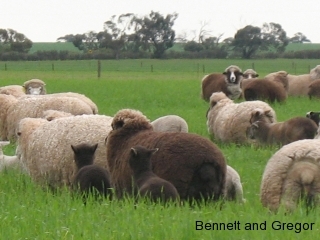 Coloured and white Corriedale and Merino rams, ewes and wethers are usually available at current market prices. and all our wool is PROCESSED HERE IN AUSTRALIA.